This is a sponsored post written by me on behalf of 1 Natural Way, a TRICARE breast pump provider. All opinions are entirely my own. If you’re a military family stationed far from your home state and extended family and friends, the first days as new parents can be scary as you begin to navigate this new world. I’ll never forget the day we brought home our first little one--a wintry, cold day in Ohio at the Air Force base where we were stationed. Despite the grey skies, the world suddenly seemed awash with colors I'd never realized existed, in light of this new precious life we'd been gifted with. I felt like I'd just awakened from a long dream! Becoming a parent clicked a switch in me that I hadn't even realized was there. Everything seemed different. But with both of us in our early 20’s, there was much about parenting that my young husband and I felt we were making up as we went along! The first few weeks and months of getting to know each other as mommy and baby can be tricky. You’re not sleeping well, you're figuring out a new rhythm with your new little one, and probably a bit unsure about how to handle life as a new parent. And if you’re breastfeeding, you may feel tied to home and not as if you can venture very far--never mind finding a sitter you can trust! Thankfully, these days there are loads of free resources for new military parents to help ease this transition. 1) Connect with your local military family support services. Have you checked in with your military installation’s Military and Family Support Center? From programs like the New Parent Support Program funded and facilitated through the DoD to play groups, there are loads of free military family programs just waiting for you to use. Some locations also offer free baby bundles, blankets, and more. It’s worth checking to see what’s available! There may even be some military family nonprofits located in your area that offer programs for new parents. 2) Explore companies that support military families. 3) Make a point of meeting other new parents. Talking to and comparing notes with other young parents is so important, especially when you have little family support. If you’re new to an area and don’t know anyone yet, don’t hide! Talk to your neighbors or connect with other military spouses through on base programs or your spouse’s unit. You can find new mom groups through your base’s chapel, community center, or even at a nearby coffee shop. Seriously, I once found a great group through a notice someone had pinned on a bulletin board at the local Starbucks! You don’t have to do this alone. As a new mom, the other new moms I met were my sanity, and became the ones I traded off babysitting, as we are all in the same boat. 4) Understand your Tricare eligibilities for breastfeeding support. If you're a breastfeeding mom, you may be surprised to realize you’re authorized a free breast pump through your Tricare insurance. What?? Cnnect with 1 Natural Way! 1 Natural Way is an in-network Tricare breast pump provider. All breast pump models are covered under Tricare at no out of pocket cost to you. They offer the popular Medela, Spectra, and Kiinde brands, along with accessories and postpartum care supplies. If you're a new military parent, I'd love to hear. What are the best resources you've found for new milspouse moms? 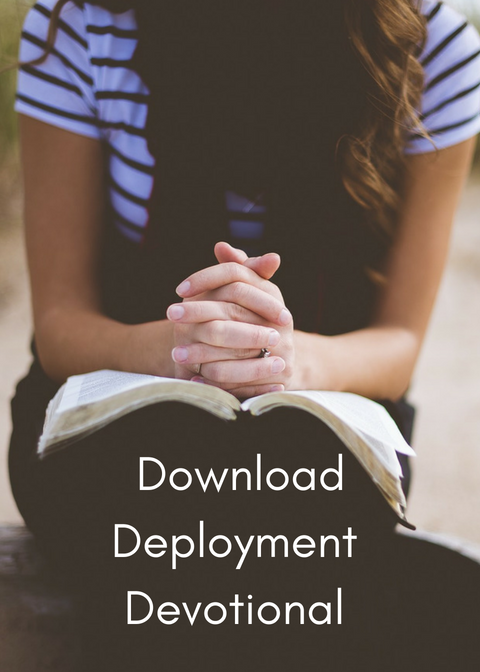 Want more helpful resources for your military family? We respect your privacy. We’ll never share your email or spam you!